With the school year coming to a close, our kids are getting ready for some summer fun! Children love the hot summer months because they provide the perfect opportunity to spend lots of time outside. Whether it’s swimming in the pool, hiking through the woods, taking long walks, or going for a bike ride, there is something for everyone, no matter how young or old. 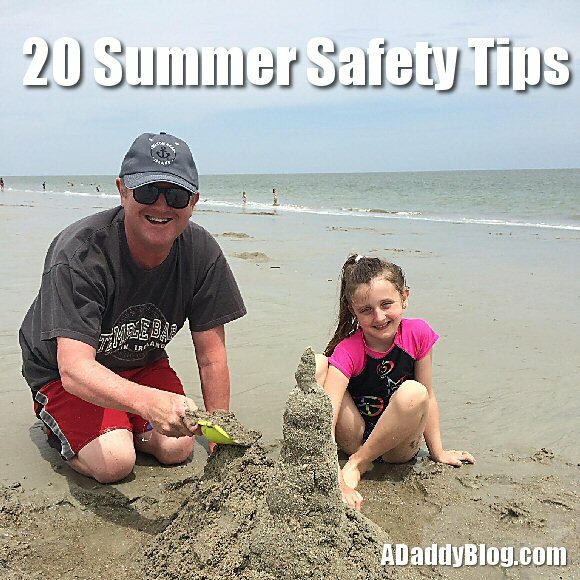 There are many areas to cover when it comes to summer safety, and I’ll review just a few here. Please keep in mind that this is just a brief list of tips, and these apply to us big kids, too. • Avoid excessive sun exposure during peak sun hours (10 AM – 6 PM). • Wear protective clothing and a wide brimmed hat and sunglasses (with 99-100% UV protection). • Sunscreen is a must (on sunny and cloudy days)! Look for products with UVA and UVB protection and an SPF of at least 15 (according to the American Academy of Pediatrics and American Association of Dermatology). I personally don’t use anything lower than a 50 on our daughter. • Sunscreen should be applied liberally 30 minutes before going out in the sun, and reapplied every two hours or sooner if swimming, sweating or toweling off. • Look for shade whenever possible. I also love sun protective SPF 50 clothing. • It’s the oil from the leaves of these plants that cause the potential allergic reaction. • Consider wearing protective clothing to help decrease the amount of exposed skin. • Learn how to recognize what poison ivy, oak and sumac look like, so that they can be avoided. • Avoid bushy, overgrown areas and places which may contain these plants. Try to stay on paths. • Every family should have at least one first aid kit at home which is well stocked and readily accessible. • It’s also helpful to keep a first aid kit in the car and one to bring on trips. • Kids get lots of cuts and scrapes during the warm summer months, so it’s nice to be prepared. • Don’t forget to restock the kit once an item has been used. • Be sure to keep a list of emergency numbers where they are easy to find. This list should include: emergency medical services (911), the doctor’s number, the dentist’s number, poison control, a number where mom and/or dad can be reached and any other important phone numbers. • Keeping well hydrated is very important. • Children (and we adults too) must remember to drink. • Do not wait until a child says he is thirsty before offering fluids. At this point, he is already dehydrated, so be sure to provide plenty of fluids before going outside, while out in the heat and afterwards. • Playing in the hot summer sun means lots of fluid losses, so avoid strenuous activity during peak sun hours (10 am- 6 pm). Look for shade and take lots of breaks. • Seek medical attention immediately for any signs of heat-related illness. • Never let children near the grill. Remember, it can remain very hot even after it is no longer being used. • Be sure to check the internal temperature of foods on the grill, to be sure everything has been cooked appropriately. Get a meat thermometer if you don’t have one. • If picnicking outdoors, avoid leaving out foods that require refrigeration and/or foods that can quickly spoil.